Boxwood has been a member of The Garden Club of Virginia since 1952. As members of GCV, we have fulfilled our duties happily. Every year Boxwood holds at least one fund raiser to support our commitment to GCV events and our commitment to community projects. From our beginnings in 1937, Boxwood has participated in Historic Garden Week volunteering not only our time and talents, but our homes and gardens. Every year our members have been hostesses in the open houses and gardens, created numerous floral arrangements in the houses, and served in many of the volunteer positions required to make Historic Garden Week a reality. Members of Boxwood have served as State Chairman of Historic Garden Week six times to date. We chair the Richmond Tour every four years. Our most exhausting Garden Week job was for the 1953 tour when we had the sole honor of packaging and mailing 40 thousand Historic Garden Week booklets. .In the heart of the East End of Richmond, in the midst of Richmond’s four public housing communities, lies Peter Paul Development Center. A community center that acts as bastion of hope for the youth in this area. 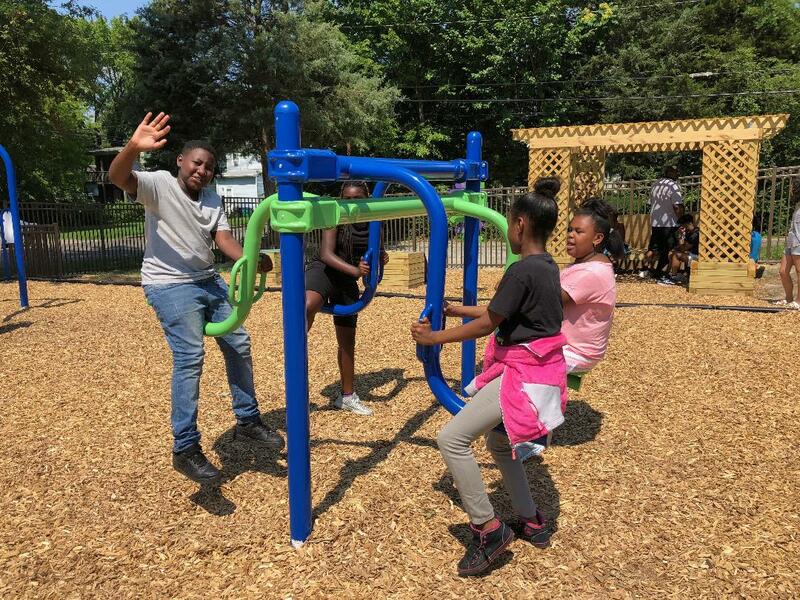 In 2018, Boxwood Garden Club partnered with Peter Paul Development Center to begin to create a playground and garden space in a vacant lot adjacent to the center. Located in the East End, the Center is home to one of the most under-served populations in Richmond. Boxwood proposes building a garden adjacent to the playground. Trees also will be planted as a buffer along the edge of the property. 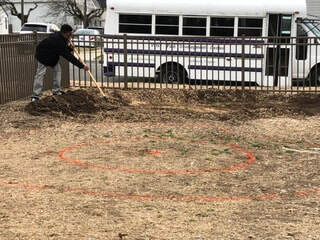 The goal is to provide a cherished spot where children and families can interact with a simple and beautiful green space and to become an educational resource to the students attending the center. The completion of this much-needed improvement to an otherwise bleak landscape, will help fulfill the mission of the Peter Paul Development Center by its enhancement of their outdoor space providing a haven to the children, their families and the community. ​At the 2009 annual GCV Conservation Forum, speaker Rachel Flynn, then Richmond Director of Planning and Development Review, spoke of the need for 500 trees to fill 500 empty tree wells in the City of Richmond. This information resonated with the four Richmond GCV Clubs who joined together to develop a plan to restore Richmond's urban tree canopy. The project was submitted to the GCV Bessie Bocock Carter Conservation Award committee in 2010 and won! With the awarded funds plus those raised by the four Richmond GCV Clubs, Capital Trees was born. 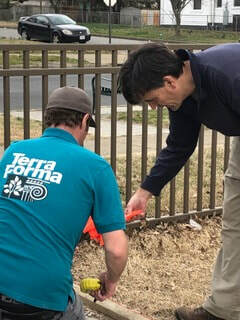 Capital Trees is a private initiative of the 4 Richmond GCV clubs to work in partnership with the City of Richmond to support and increase a healthy urban tree canopy. The project serves as an example of the best practices for planting trees in an urban setting. Utilizing this model in the future will ensure better storm water management, reduced amounts of pollutants entering the James River and Chesapeake Bay, improved air quality while beautifying the City of Richmond. As one mature tree, planted properly, can reduce storm water run-off by 13,000 gallons a year, it is anticipated that increasing the urban forest canopy and planting trees using our method will significantly reduce run-off, help clean up our rivers and serve to relieve an overburdened and antiquated combined storm water and sewage system. The site chosen for the initial phase of the Capital Tree project, located on 14th Street between Franklin and Main, was challenging. Formerly, it was a concrete canyon bounded by two Commonwealth of Virginia parking garages, four traffic lanes with a concrete median strip, and five small, unhealthy trees. This block drains northwest to southeast with a ten-foot drop toward the river. ​For many years Bandy Field has been eyed by developers as prime real estate waiting for the next best building project. As the only remaining open green space (18 acres) on the west side of Richmond, neighbors, UR students, school children, sports enthusiasts, and the close knit community which enjoy Bandy Field have fought to protect it. The Friends of Bandy Field was established in 1998 to which Boxwood has donated funds for many years. Our members have also participated in annual 'clean up' days at the field to remove invasive plant material and replant native wildflowers. In February 2004, Boxwood and The Tuckahoe Garden Club proposed an Environmental Educational Plan for Bandy Field Nature Park for the GCV Common Wealth Award which we won. The award secured funds necessary for the environmental education of the student population and the broader community regarding wetlands and natural habitats. 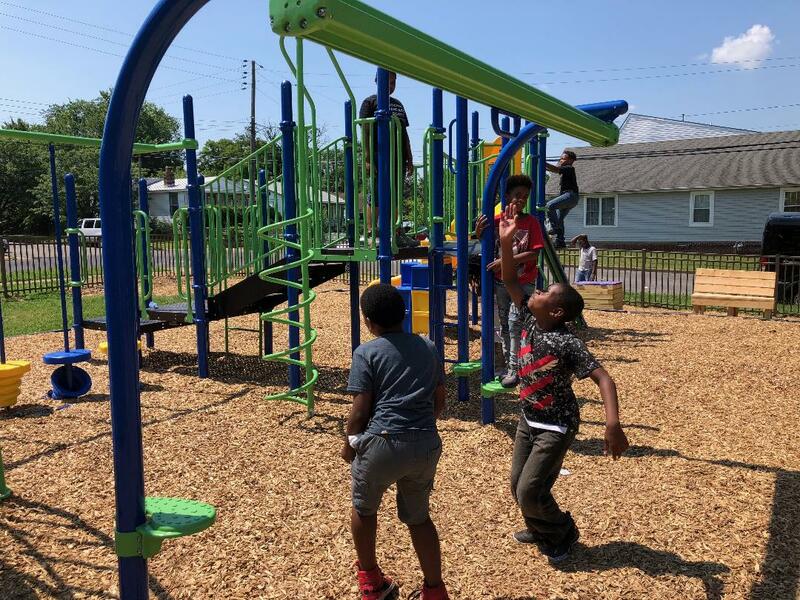 Educational programs and materials were developed, informational signs were installed, a website was developed and the official designation of Bandy Field Nature Park was secured. ​Boxwood has hosted the Annual Meeting of GCV three times: In 1963 the meeting and luncheon was held at The Rotunda Club. In 1979 the meeting and luncheon was held at The John Marshall Hotel with dinners the night before at the homes of Mr. and Mrs. Ivor Massey and Mr. and Mrs. Charles L. Reed, Jr. By 1999, the Annual Meeting had grown into a three day event. The meeting and luncheon were held at the home of Mr. and Mrs. Charles L. Reed. Additional events were held at Maymont, The Virginia Museum of Fine Arts and Kent Valentine House. ​Boxwood has hosted the GCV Annual Rose Show four times. 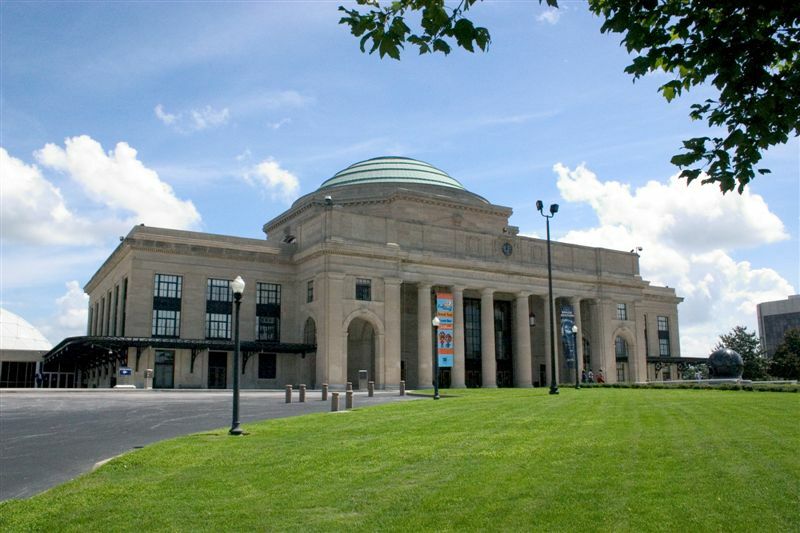 In 1953 the show was held at The Virginia Museum of Fine Arts. "Six Centuries of Roses" was held at The Carillon in Byrd Park in 1971. The 1989 show, "The Orient Express – An Adventure by Rail", was held at Science Museum of Virginia. And in 2012, "The Quintessential Rose" will be held at Lewis Ginter Botanical Gardens. Boxwood will also host the show in 2013. ​In 2007 Boxwood made a gift from our Endowment Fund to GCV's Support, Education, Events and Development Fund (SEED). The purpose of the gift is to underwrite the cost of speakers for the annual GCV Flower Arranging School - for 10 years. Our support was enhanced by a generous gift from Mr. George Stuckey. Our underwriting gift is in memory of long time member Millie Stuckey. ​The Adam Craig house is reported to be the second oldest house in Richmond making it and one of the few remaining 18th century structures in town. It was the childhood home of Jane Craig Stanard, the subject of Edgar Allan Poe’s To Helen, and was threatened by demolition in 1935. The APVA subsequently purchased and restored the house. In 1947 Boxwood undertook sole responsibility for the restoration and maintenance of the gardens. The garden plan recreated an “old fashioned” garden with plant material appropriate for the 200 year old grounds. Various fundraisers provided the funds to purchase the necessary plant materials and soil enhancements. Boxwood members performed the installation of the garden and for nine years maintained them with weekly watering, weeding and pruning. In 1953 Boxwood was awarded The Garden Club of Virginia Massie Medal Award for our dedication to this project. ​In 1954 Boxwood, in cooperation with The American Camellia Society, held the first ever Camellia Flower Show to be held in Virginia. The two day show was held in the Old Dominion Room at Miller & Rhodes. Amateur growers from all over the state presented horticulture specimens and more than 75 arrangements were entered in the artistic class. Information on the culture, care and maintenance of camellias was published and given to exhibitors and visiting guests. ​In 1963 Boxwood member Mrs. A. K. Muhleman conceived the idea of a beautification project for the empty lot on the corner of 23rd and Broad Streets. The lot adjoined the Mews of Historic Richmond and was in terrible disrepair. For the next three years, Boxwood devoted its time to this project. Christmas House Tours and Auction Sale Fundraisers provided the funding to purchase the lot and hire esteemed Landscape Architect Mrs. Ralph E. Griswold to design a well-planned, attractively planted parking area surrounded by brick walls, trees and shrubs. 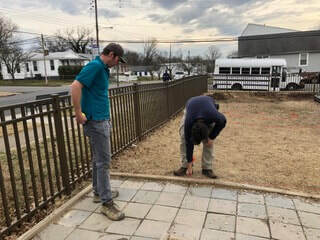 Funding to purchase the landscape materials was provided by contributions from Church Hill neighbors as memorials and recognitions to loved ones and friends. ​The newly completed parking lot and landscaped grounds were completed in 1966 and gifted to The Historic Richmond Foundation by Mrs. Muhleman on behalf of The Boxwood Garden Club. The parking lot has helped ease parking for visitors to St. John's Church ever since. In 1967 Boxwood was awarded The Garden Club of Virginia Massie Medal Award for our "foresight, conservation of property, fostering public relations, patience and hard work in transforming an eyesore into a corner of beauty and usefulness". ​In 1967 Boxwood members Mary Frances Flowers and Logan Johns discovered an idea that would involve the club for three years. The idea came from an article on the development of a potential James River Park in the City of Richmond by James Walmsley, Editor of The Commonwealth Magazine. A meeting with Mr. Jim Park, then Assistant Richmond City Planner, explained the idea further with sketches and possible ways to develop the park which would encompass the area stretching from the first old lock at the foot of 17th Street to the Huguenot Bridge including parts of the banks on both sides of the river and Belle Isle. The dream of preserving the James River as a park for the enjoyment of area residents and preventing future "ugly" development entranced the Boxwood members who immediately teamed up with Mr. Park. Anticipating that the James River Park idea would meet some resistance, Boxwood undertook the job of marketing the idea to the general public who in turn could lobby for its approval. ​Our fund raising enabled the production of a promotional program that was seen by over 55 organizations and 4,000 people in the greater Richmond area. The program consisted of a 20 minute slide show with a voice over by Alden Aaroe, "the Voice of Richmond" and an informational brochure. It became the feature program of the 1968 Garden Club of Virginia Conservation Forum. The James River Park plan was eventually approved by the City of Richmond and assigned to The Department of Recreation and Parks. Our marketing program was donated to the State Commission on Outdoor Recreation and Parks. Through the years, the designation of the James River as an "official" park has helped to prevent many unsightly proposed projects – two being the installation of high tension electric power lines and a super highway on the banks of the river. In 1970 Boxwood was awarded The Garden Club of Virginia DeLacy Gray Conservation Medal Award for our efforts in helping to preserve our beloved James River. ​From our very early years, Boxwood has partnered with the other three Richmond GCV member clubs - James River, Three Chopt and Tuckahoe Garden Clubs. Our partnerships have been large and small - all promoting our broad missions of either educating the public on subjects of gardening and conservation or preserving historic gardens and encouraging civic planting and beautification through landscaping. The project we undertook together in 1977 "enabled us to accomplish an essential project of civic beautification which none could attempt alone" ….. the landscaping of the East Terrace of the newly formed and located Science Museum of Virginia. "On January 6, 1977, Governor Godwin, then in his second term, presided over the dedication of the Science Museum's first exhibit gallery, The Discovery Room. The event celebrated the fifty-eighth anniversary and rebirth of Broad Street Station and the culmination of over seventy years of effort to establish the Science Museum of Virginia." In 1980 all four Richmond GCV Clubs sponsored British flower arranging authority Shelia MacQueen at an all-day flower arranging program held at The Science Museum. Various other fundraisers were held by the 4 clubs individually to provide monies for the project and to excite the public about the new Science Museum. The East Terrace was part of the master landscaping plan and was completed in 1981. ​Throughout the years many Boxwood members have also been members of the Board of The Virginia Home, a private, nonprofit 130-bed facility providing nursing, therapeutic and residential care to adult Virginians with irreversible physical disabilities. 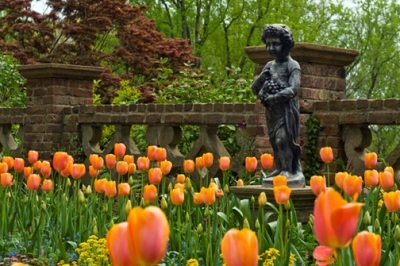 In the early 1980's Boxwood partnered with The Windsor Farms Garden Club, which had lovingly maintained the gardens at The Virginia Home for many years, to raise money for a major landscaping project in the front of The Home. 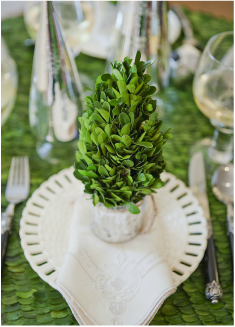 Boxwood presented Tablescapes I and II as fundraisers for this project. After two years of planning, Tablescapes and Fun Settings was held at The Tuckahoe Women's Club where Boxwood members created 23 "settings" ranging from tailgate picnics and beach parties to formal dinners. Full "rooms" of furniture were moved into the settings booths to depict actual rooms. The tablescapes were beautifully presented within these rooms. A wide variety of settings were on display including a contemporary Japanese setting complete with cushions on the floor, a pre-race tailgate party, a birthday celebration for a 10 year old girl, and a golden wedding anniversary setting to name a few. Tablescapes II – The Art of Creative Entertaining was brought back by popular demand after the successful Tablescapes I. This time it was a three day event with multiple activities. Thirty five settings were arranged in the Carillon by Boxwood members and seven local Interior Designers. The official china of the Virginia Executive Mansion was on display as well as various Presidential china patterns from the White House. Concerts on the Carillon accompanied the ribbon cutting by then current Virginia Governor Gerald L. Baliles followed by a luncheon at which Montaldo's provided models wearing the latest fashions. Three house museums in the area were also open for the enjoyment of the Tablescapes II guests who came from up and down the east coast. After many months of consultation with Landscape Architect Kenneth Higgins followed by demolition and re-construction, the new landscaping was completed with low growing hollies, azaleas and ground covers that enabled wheelchair bound residents to look over them to the vistas of Byrd Park. The dedication ceremony was held on November 24, 1988 to much fan-fare and excitement. ​In 1993, Boxwood and Schwarzschild Jewelers presented two fund raising events featuring Bettie Bearden Pardee. At the first, "Savvy Southern Entertaining", Mrs. Pardee displayed whimsical surprises for staging memorable celebrations at home. "On –The-Go Party Planning" was the second event at which Mrs. Pardee demonstrated clever and practical entertaining strategies for busy people that combined 'take out' with easy elements in the home. ​In October of 2009, Boxwood sponsored a fundraiser with Margot Shaw, Editor of Flower Magazine, at Lewis Ginter Botanical Gardens. Margot presented her story of "Birthing the nation's only floral lifestyle magazine" and gave a floral arranging demonstration highlighting the use of 'every day' containers and simple arrangements. ​Boxwood hosted fund raiser, "Flowers with a Southern Flair – a morning of flower arranging with Sybil Brook Sylvester" on March 22, 2011 at UR Jepson Alumni Center. Sybil demonstrated simple flower arrangements, technique, ideas and tips of the trade with her arrangements being auctioned off to the lucky winners. The first weekend after Thanksgiving each year has been reserved for the Boxwood Greens Sale. Select artists and crafts people sell their one-of-a-kind items while wreaths, arrangements, kissing balls, advent wreaths and tabletop trees made by Boxwood members are sold to raise funds for club projects and donations.